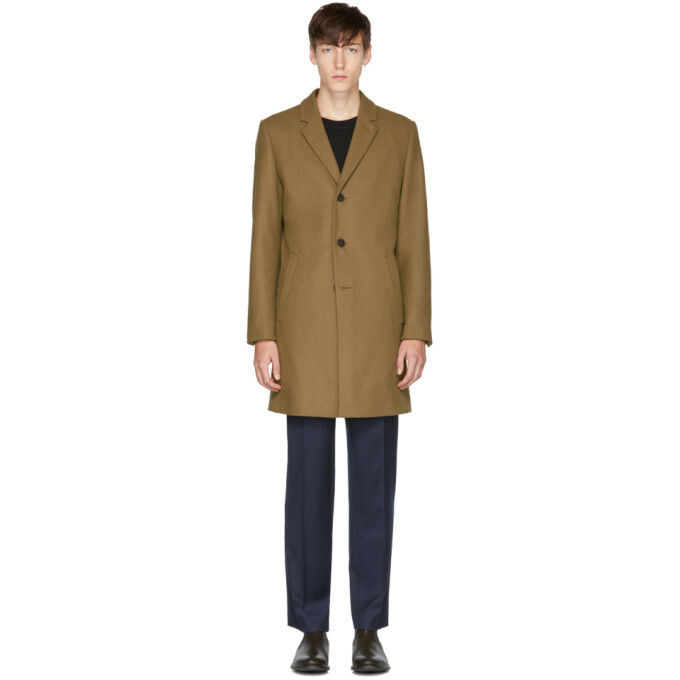 Long sleeve brushed wool coat in beige. Notched lapel collar. Three-button closure at front. Welt pockets at waist. Lightly padded shoulders. Mock four-button surgeon's cuffs. Central vent at back hem. Welt pockets at fully lined interior. Tonal stitching. 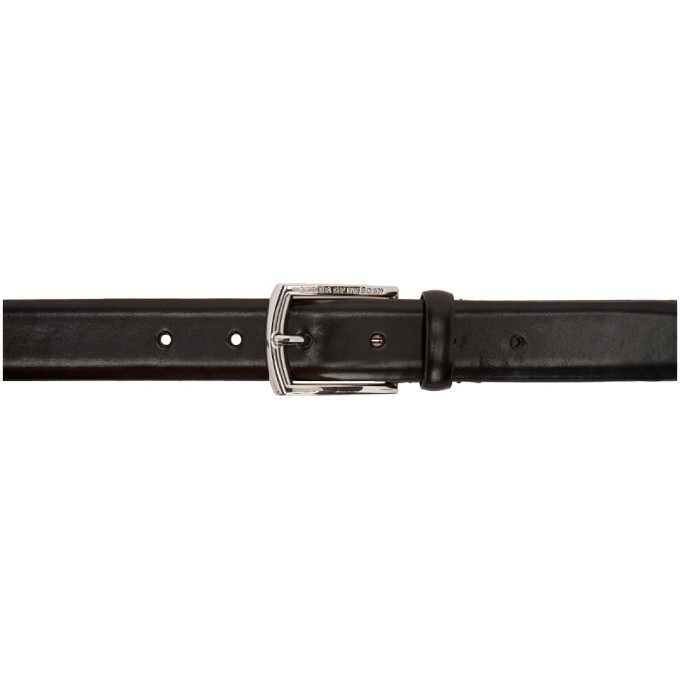 Buffed leather belt in black. Adjustable pin-buckle fastening. Silver-tone hardware. Tonal stitching. 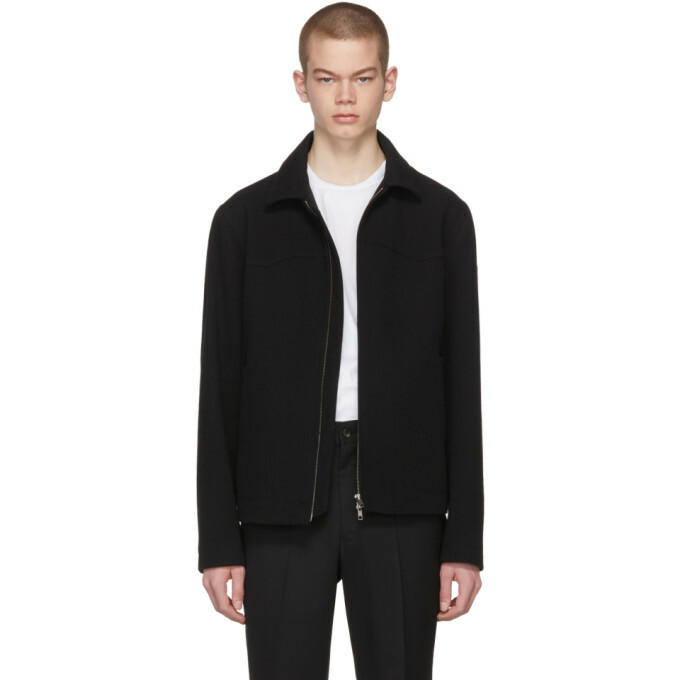 Long sleeve wool-blend jacket in black. Spread collar. Two-way zip closure at front. 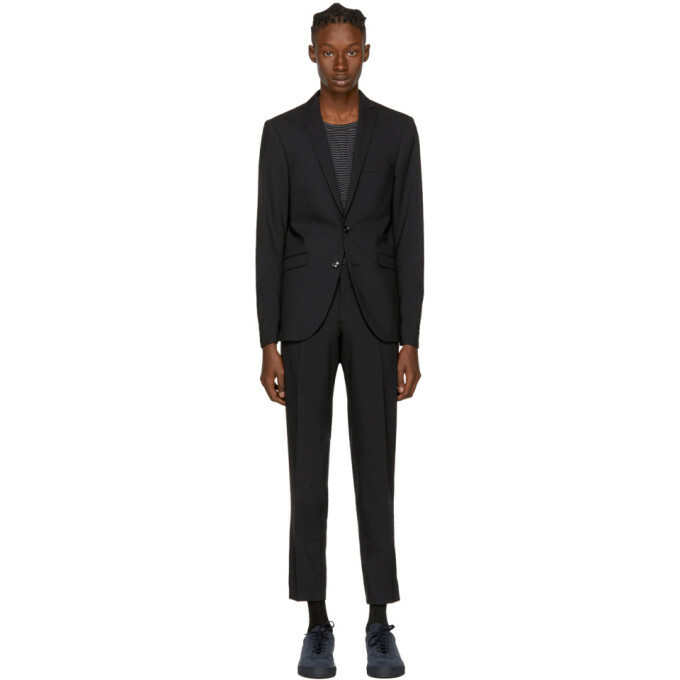 Tonal leather-trimmed welt pockets at waist. Multicolor embroidered logo patch at upper sleeve. Welt pockets at fully lined interior. Gunmetal-tone hardware. Tonal stitching. 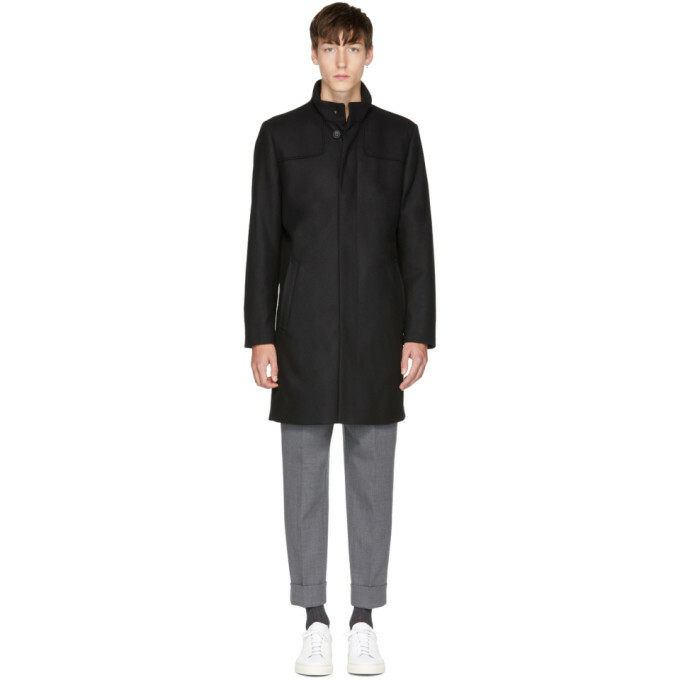 Long sleeve brushed wool coat in black. Stand collar. Concealed button closure at front. Welt pockets at waist. Lightly padded shoulders. Central vent at back hem. Welt pocket at fully lined interior. Tonal stitching. 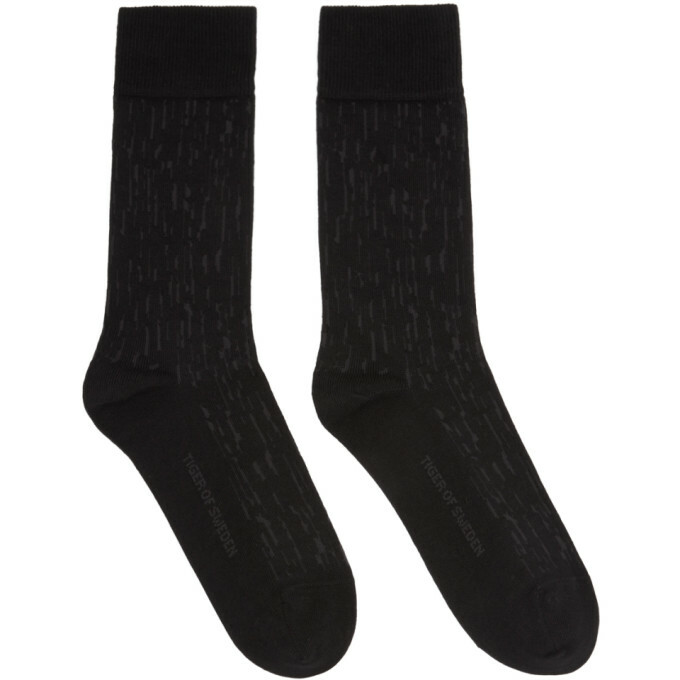 Calf-high cotton socks in black and grey. Ribbed cuffs. Red circle knit at ankle. Grey logo printed at sole. Tonal stitching. 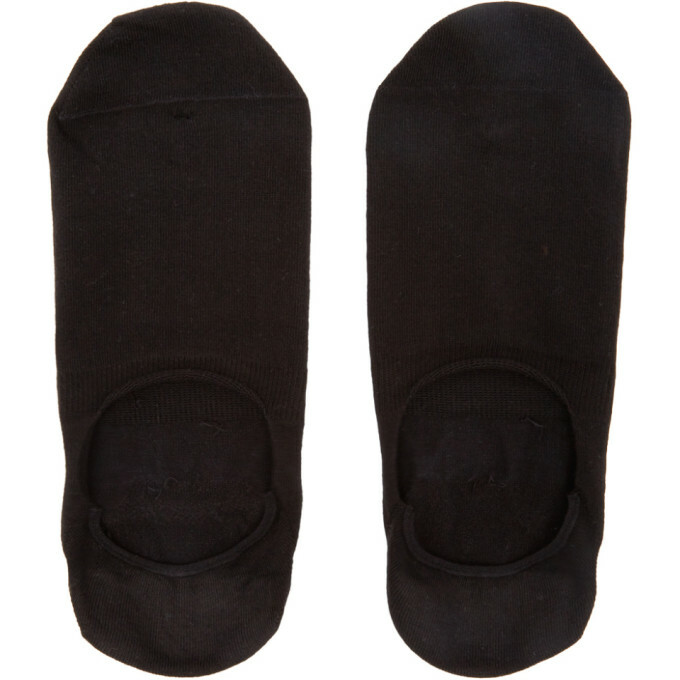 Ankle-high stretch knit cotton socks in black. Logo printed in white at sole. Tonal stitching. 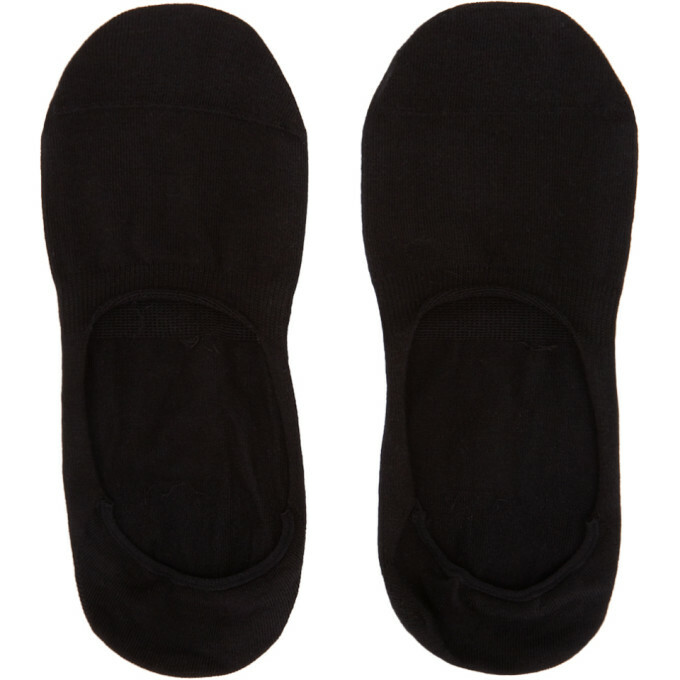 Ankle-high stretch knit cotton socks in black. Logo printed at side. Tonal stitching. 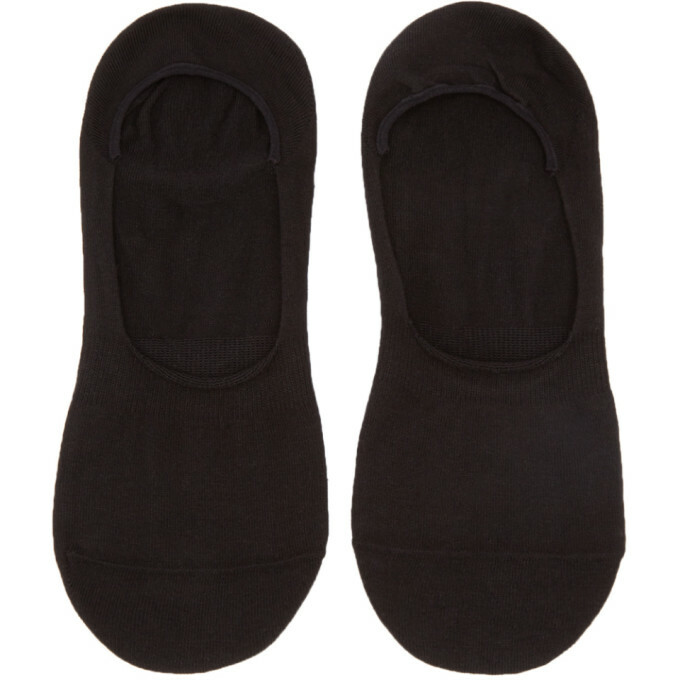 Stretch cotton no-show socks in black. Logo printed in white at sole. Tonal stitching. 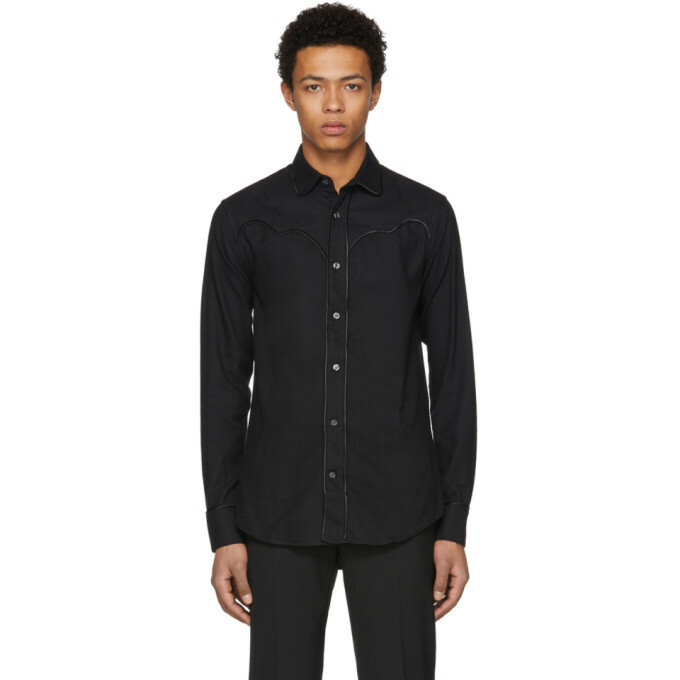 Long sleeve cotton twill shirt in black. Tonal satin piping throughout. Spread collar. Button closure at front. Western yokes at front and back. Adjustable single-button barrel cuffs. Tonal stitching.